Good culture is good business. 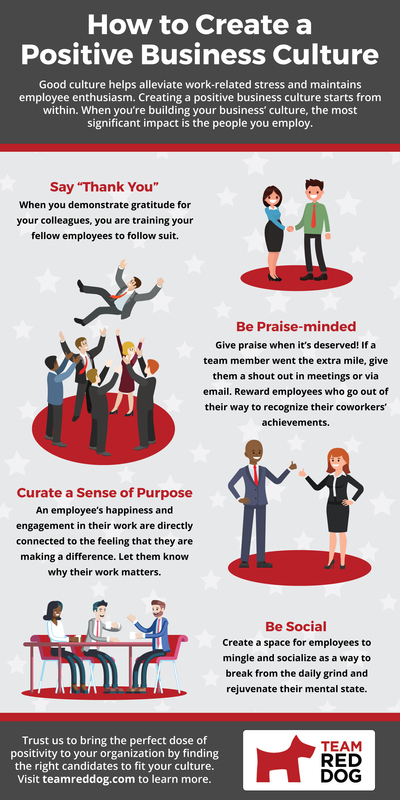 The benefits of a positive culture include higher productivity, job satisfaction, and strong retention. It’s more than an open keg on Fridays; it’s a focus on employee wellness and growth that goes beyond the day-to-day deliverables to create a happy, stable team. Looking for more candidates that represent your culture? Team Red Dog has specialized in finding the right mix of a talent and culture fit for over 15 years. Put Team Red Dog’s Bellevue-area staffing solutions to work for you!